Frank Sidebottom | Katarina G.
Everything listed below either played in the official Berlinale selection, or is a Sundance title that was playing in the market, but has had its public debut already. I’m not doing real reviews here, just brief impressions of the small handful of films I actually managed to squeeze into my schedule. Surprisingly or not, everything I saw was pretty good, even the one that is “not for me”. Frank (dir. 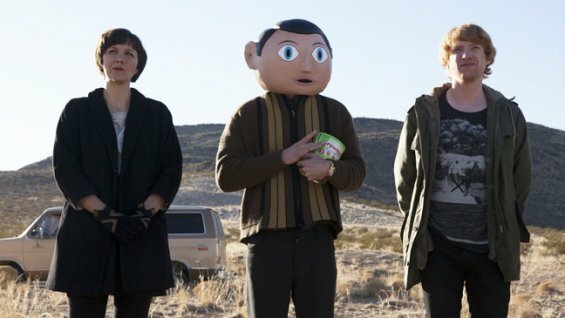 Lenny Abrahamson) – this film is, I guess, loosely based on a real person, Frank Sidebottom, a dude who actually played in a band with a giant papier-mâché head on top of his real human head. The film was written by a guy who played with him, so it’s based on “something”, but I’m not sure to what extent any of the actual plot points have anything to do with the real story. Probably nothing? I don’t think the actual Frank was mentally ill, but I could be wrong and the internet has been strangely unhelpful in this regard. Either way, I was charmed by this one and hey, it’s always nice to see Scoot McNairy in a fun role. I’ve really been a fan since Monsters. Galore (dir. Rhys Graham) – this Australian coming-of-age-ish drama about three teens caught in an emotional triangle in a dead-end town is super heavy, and also really great. 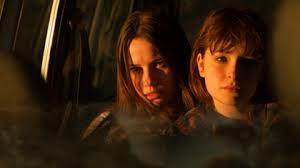 Two girls (Billie and Laura) are best friends in the insane and super intense way that only teenage girls ever can be. Laura has a boyfriend, but Billie is secretly sleeping with him, and it’s all very intense. The first time director really handled the subject matter deftly, and Ashleigh Cummings, who plays (the wild troublemaker) Billie gave a really powerful performance. Here, just watch the trailer. God Help the Girl (dir. 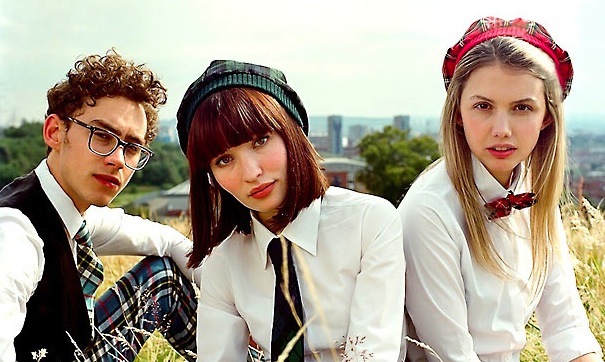 Stuart Murdoch) – this ultra-twee musical was written and directed by the dude from Belle and Sebastian, and it shows. I’m not saying that’s a bad thing, I’m just saying that if you like that kind of music, then this film is full of really great songs and absolutely adorable young people and perfectly perfect vintage outfits, and an infinitely watchable confused young waif heroine. And you’ll probably like it. It’s about a girl who sort of gets over her anorexia by starting a quirky band with her nerdy friend who is clearly in love with her, and maybe 22 year old me would have loved it, but 36 year old me categorizes it as “not for me”. There’s nothing really wrong with it, you just have to be into “that kind of thing”, and if you’re not, it might give you a toothache. The Guest (dir. Adam Wingard) – how many times can I say that this film is awesome? Not enough. 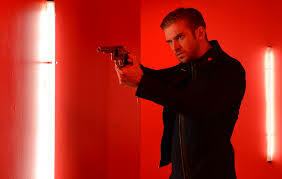 It’s like if Drive was an action film (and yeah, Dan Stevens is at least as compelling, charismatic and menacing as Gosling), but actually better than that. Apparently Maika Monroe, who plays the sister, has also been in The Bling Ring and Labor Day recently, but I haven’t seen either of those films so I had no idea who she was and she’s now my favourite 20-something in Hollywood. I would like to aerobicise to the soundtrack of this film forever. The Kidnapping of Michel Houellebecq (dir. Guillaume Nicloux) – if you are a fan of the author, then this faux doc (inspired by Houellebecq’s real disappearance during a promotional tour in 2011) will probably seem both hilarious and very engaging. 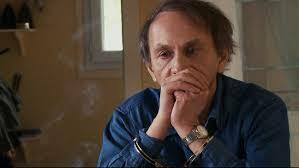 If you don’t know Houellebecq from any other grumpy, chain-smoking old man, then you might just be puzzled by it. Either way, this imagining of what kind of kidnapping could possibly befall a man like Houellebecq is bizarrely charming. Thou Wast Mild and Lovely (dir. Josephine Decker) – I went to see this one because Joe Swanberg stars in it and I’m a fan. And I walked out a big fan of Josephine Decker! This film is intimate and quiet and beautifully constructed, but it’s also super weird in the best ways possible. Swanberg plays Akin, a silent summer worker at a farm run by the gruff Jeremiah and his in-tune-with-nature daughter, Sarah (Torontonian Sophie Traub). Things quickly become tense (and intense) between the three, building to an unexpected climax. This film features a sequence from the POV of a farm animal, and it is wonderful. Fun fact: most of the films I saw start with “G”. G is the title letter of 2014.